NIKOLA NIKOLIĆ (born July 26, Podgorica, Montenegro) is Montenegrin novelist, short-story writer, essayist, journalist, artistic director of the International Podgorica’s Book Fair. He graduated from the Faculty of Political Science, University of Montenegro and his master thesis copes with phenomenon of collaborationism during the WW2. 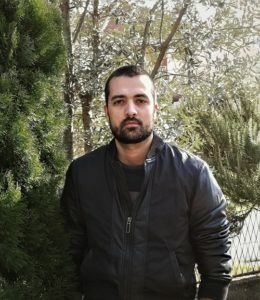 Published works: „Čvor“ (novel, 2011), „Meandar“ (novel, 2014), „Atakama“ (short stories book, 2016); his short stories are published in a regional literary magazines. In 2017, he won „Bihorska Venera“ short story prize.